If I change the way I throw away, will it make any difference? <="" span=""> If we all change the way we throw away our waste by composting, it makes a huge difference to the environment. You can be part of the sustainability revolution! <="" span=""> Composting at home saves on collection vehicle fuel consumption, reduces pollution by diverting waste from landfills, and creates better livelihoods by promoting environmental jobs in local communities. All this while creating nutrition for your soil or flower pots at home by composting at source. Got it? Now do it! <="" span=""> Created by the award-winning designer Mrs. Poonam with appearance and ease of use in mind, EcoRich home composters are suitable for most household food scraps, cooked food waste, and waste from the lawn and garden. 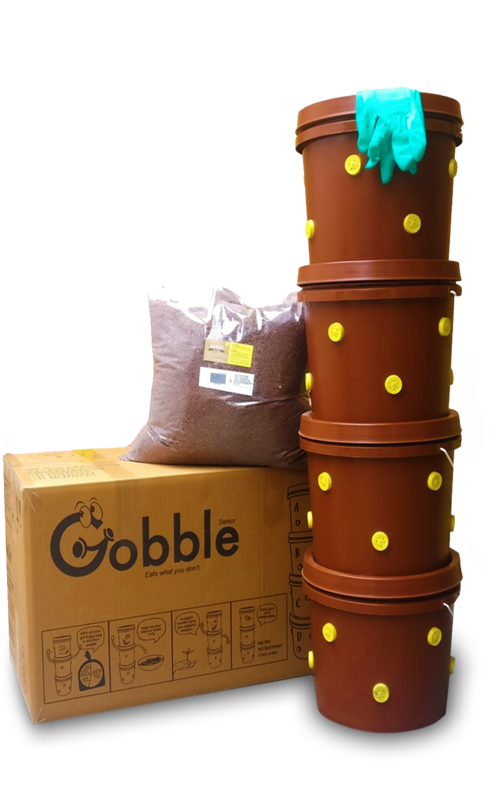 Our range of food composters can be used at homes and apartments. The terracotta models are the most sustainable composter available, offering an odor free, pest free, and easy to use experience. 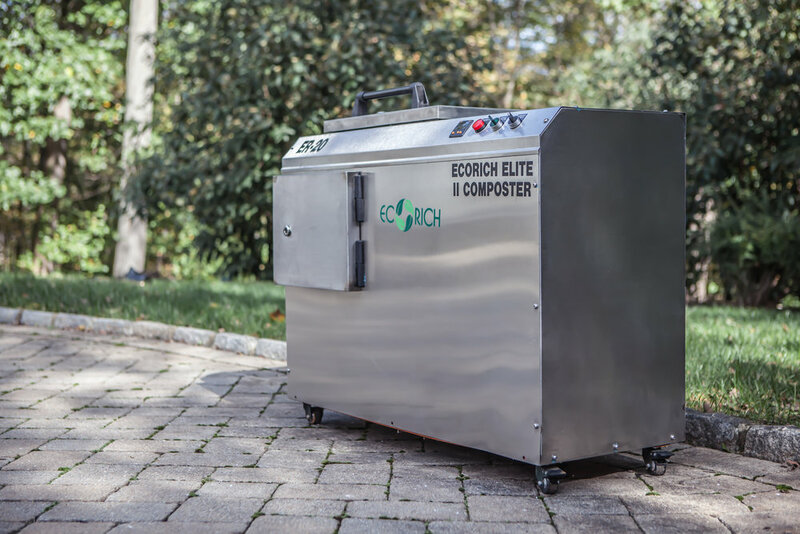 And the Elite II 20 pound a day small commercial composter is suitable for small apartment buildings or for large family homes. Our classic, stackable terracotta composter is easy to use when shifting units from top to bottom. Good for a family of 4-5 and 2 & ¼ pounds of daily kitchen waste, it looks great in the yard or can be used on the patio or balcony of your townhouse or apartment. Holes in the terracotta allow fresh air to flow in and out, promoting the composting process – that means no odors or mess! The smaller version of our classic composter is good for a family of 2-3 and about 1 pound of daily kitchen waste. Popular with mature couples, it is easy to lift, fits snugly into a tight spot, and adds charm to composting. Like our classic composter, holes in the terracotta allow fresh air to flow in and out, promoting the composting process. Our Gobble Senior is made from sturdy plastic, and good for a family of 4-5 and 2 & ¼ pounds of daily kitchen waste. It fits snugly into a tight spot and is easy to keep clean. The side vents allow fresh air to flow in and out, promoting the composting process – that means no odors or mess! <="" span=""> Think of leaf composters like street lights. When they are dotted around your yard, they make your work easier while making composting a visible, beautiful and effortless process. If you have a lot of trees, start with 3 to 5 leaf composters and add as they fill up. <="" span=""> Originally designed for small restaurants and delis, up to 20 pounds of food waste of all kinds, even small bones, is turned into a nutrient-rich soil amendment for your yard, garden, or flower pots in just 24 hours. A special microbe, combined with heat and fresh air, does all of the work in just one day.